Seventy-three percent of people would leave a store if it didn’t offer a credit card terminal and they didn’t have cash on hand, according to Finder. For Millennials, that percentage is even higher. In addition, nearly 50 percent of Americans said they carry cash with them less than half of the time they’re out, according to one recent survey. When they do bring it, nearly half of consumers carry $20 or less. When you combine these two stats, the impact is clear: businesses that don’t accept credit cards are losing significant sales. 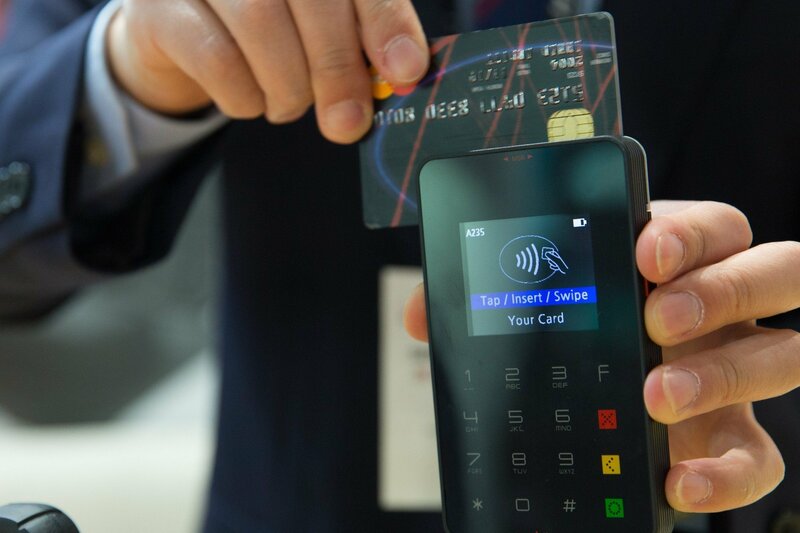 Read on to understand the many benefits of accepting credit card payments for small business. Let’s face it, nothing screams “mom and pop” business than one that only takes cash. As a consumer, you wonder whether they either aren’t sophisticated enough to set up credit card processing or they’re too frugal to cover the merchant fees. In either case, it lowers your opinion of them, and that’s not good for business. Lessening buying pain: According to behavioral economist and Duke professor Dan Ariely, there’s emotional pain when we pay for something with cash, as we feel the money leaving, but that pain is often non-existent when we use credit cards. Impulse buying: Customers are more likely to make impulse buys if they’re not limited to the cash in their wallet. Greater spending per sale: Customers tend to spend 12 – 18 percent more when they use their card over cash or check. Auto-payments: You’ll give buyers the opportunity to spread their payments out over months rather than having to pay for it all up front. Points programs: Many consumers prefer to use their credit cards to earn points toward airfares, restaurants and other awards. A Global Cash Index report shows online sales generated over $360 billion in 2016 and is expected to grow more than 77% by 2022 to $638 billion. An estimated 90 percent of those online purchases are made with credit cards. If you sell anything via your website and aren’t accepting credit cards for your small business, you’re alienating the vast majority of buyers. A 2017 payment processing survey found 77 percent of customers are paying for products and services with credit and debit cards, while only 12 percent specified a preference for using cash. Customers expect to have options when they buy from you. Ease of refunds: Credit card statements provide a paper trail for customers who’ve lost their cash receipts. Reduced risk: Customers aren’t obligated to pay if a fraudulent charge shows up on their monthly statement. Faster checkout: In addition to providing customers more choices, payments by card generally increase the actual speed of the transaction. Flexibility: Tablet-based point-of-sale systems let business owners do transactions from any location within the store. Whether it’s the front of the house or the back-office accounting, collecting, recording and depositing cash eats up significant hours every day. The manual tasks of cash transactions take up valuable time that could be devoted to increasing sales or customer satisfaction. Think about it – there’s counting out fresh cash drawers each day, counting them at the end of the day, having a second person affirm accuracy, recording it in the ledger, and bringing it to the bank. If you only accept cash payments, consider migrating those cash clients to online payments. It will improve your productivity, accounting practices, and customer satisfaction. Paper trails: With cash transactions, there is no paper trail and that makes it difficult to reconcile accounts. That’s a problem all on its own, but it also has the potential to raise red flags with the IRS. They tend to be suspicious of companies that only do cash transactions. The last thing you want to find yourself in is an IRS audit. Improved safety: More credit card payments mean less cash on the premises, making the business less attractive to thieves and unscrupulous employees. Fewer bad checks: The more checks you accept, the more likely you are to encounter bad ones! Not only does this put a dent in your revenue, it eats up precious time spent tracking down the customer and trying to collect the payment and bounced check fees. Eliminates lost deposits: It’s bound to happen. A manager is supposed to have deposited cash at the bank after hours, but for whatever reason the deposit never gets recorded. The discrepancy isn’t noticed by accounting for several days. As a result, accounts payable runs the risk of overdrawing your account and an air of distrust is introduced at your business. Creating and sending out customer invoices is time-consuming, and the actual payment can take weeks to collect. With credit card payment processing solutions, your customers can opt-in to auto-pay, which automatically deducts their payment each month. And, unlike checks, which can take days to clear, card transactions are deposited quickly into your bank account – usually within 24 – 48 hours. This shortened time frame increases your cash flow and helps speed up your payment cycles. If the numerous reasons above haven’t yet convinced you that it’s time to make a switch, here’s one more. Your competitors are already doing it, and if you don’t want them to take a bite out of your business, you need to, too! Setting up a merchant account is easy, and the financial, productivity and customer benefits that come with accepting card transactions will more than compensate for any associated fees. If you’d like to learn more about accepting credit cards for small business, please contact us. We’d love to help you set up a payment processing solution.